No, this photo is not underexposed. Yes, this piece of Bruneau Jasper is really that dark! 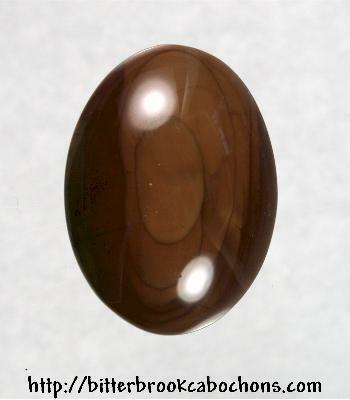 I'm sure someone out there will have use for a very dark brown Bruneau cabochon. I cut it very thick to bring out the dark patterns as much as I could. 30mmm x 22mm x 8.5mm. Weight: 40.00 carats.